U.S.-backed Kurdish forces drive ISIS out of Kobani. 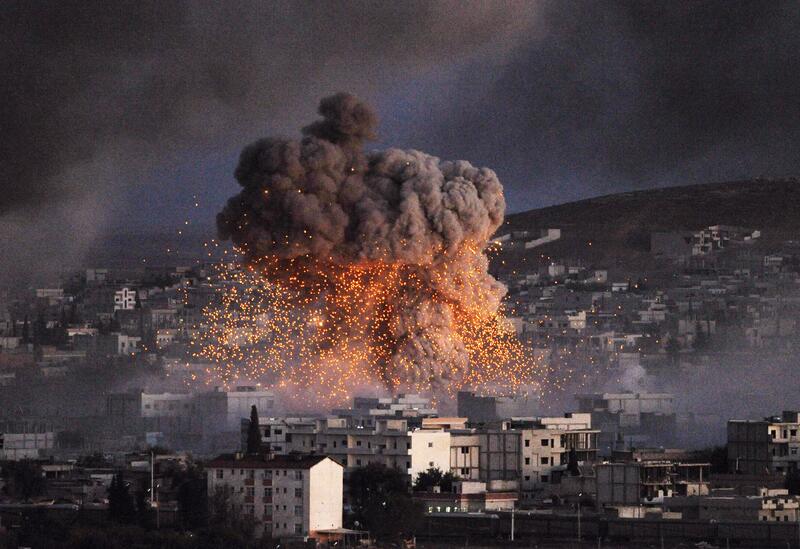 An explosion rocks Kobani during a reported ISIS suicide car bomb attack in Oct. 2013. Kurdish forces registered an important victory in the fight against ISIS on Monday, successfully expelling the group from the contested city of Kobani on the Syrian border with Turkey. The Wall Street Journal reports Kurdish fighters were “hoisting their flags atop strategic hilltops,” signifying a final turn in the Kurds four-month long battle, backed by American-led airstrikes against the Islamist group. “Unlike in many other parts of the country, in Kobani the U.S. could count on—and work closely with—a viable local militia, the so-called People’s Defense Units, or YPG, a Kurdish secularist group,” the Journal reports.